Some time ago I read an article about home made kale chips so I thought once I have some free time I can try it out and see if it’s any good. 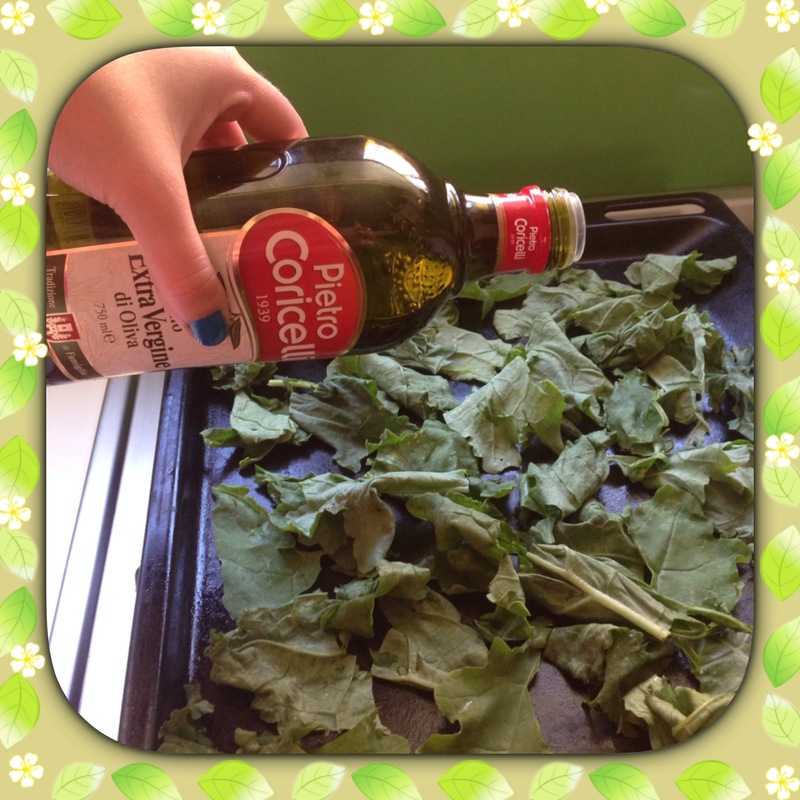 So here is how I made my No Calorie Full of Health Benefits snack. 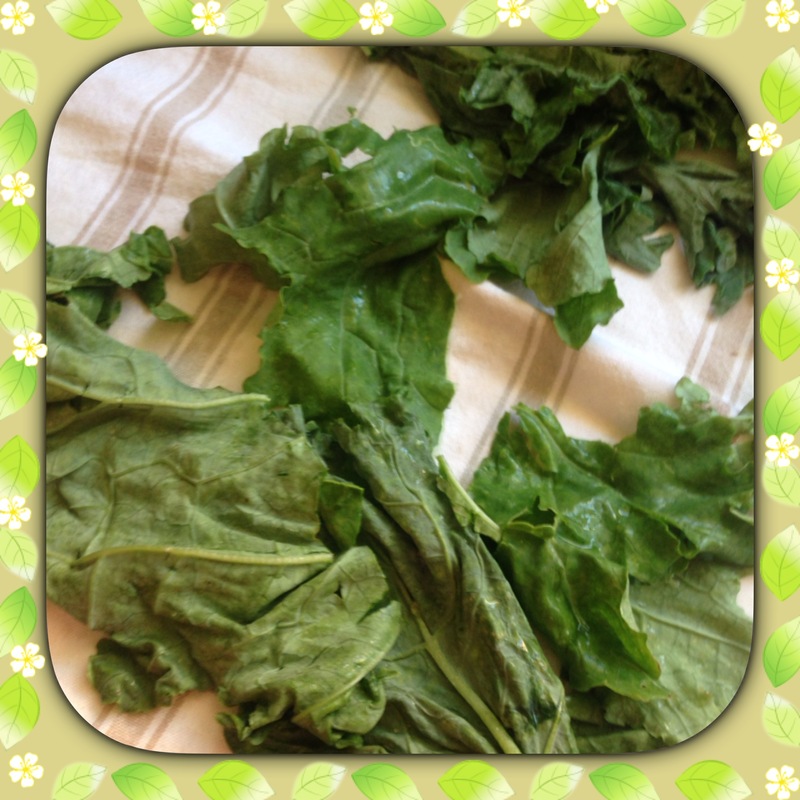 Wash your kale thoroughly and dry with kitchen paper or air dry. Remove the kale from the thick stalk and with your hands cut them into pieces. Spread the pieces on the flat baking tray and switch on the oven on 180 to start warming up. Get your extra virgin olive oil and drizzle on the kale generously. With your bare hands mix the kale so they are all covered with oil and separate them as before.Pop them in the oven for around 10 – 12 min. Be careful they do not burn as they will taste sour, so stay nearby to check the progress.Take them out from the oven and sprinkle them with sea salt , put them on a serving bowl . Snack on them right away so they retain the crunchy texture. 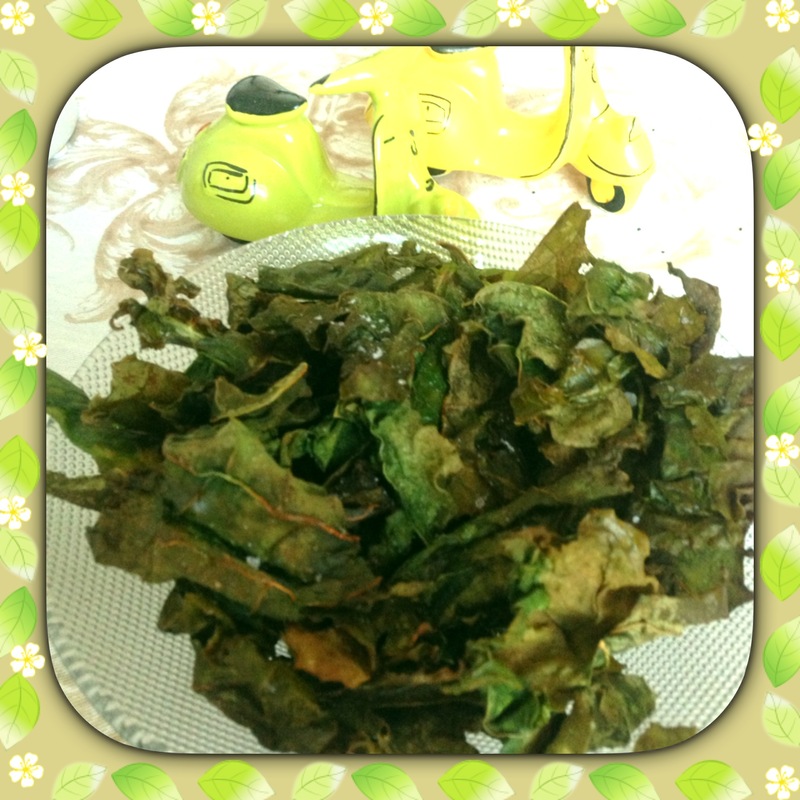 If you like seaweed then you will surely like Kale Chips!